Hello and welcome back! This month a new episode full of fresh new music from Carta, Raiden, Fedde le Grand, Nicky Romero, Siks and many more ! Feel free to subscribe to my podcast channel and to follow me on ; Soundcloud - http://bit.ly/ChessSC Itunes - http://bit.ly/CHESSPODCAST Contact Chess : chess-music@hotmail.com Tracklist: 1. Cedric Gervais - Do It Tonight (Official Extended Mix) 2. Veldem & Abi - Funky ( Original ) 3. Carta & Mayra - The Edge (Extended Club Mix) 4. Syzz & Hard Lights - 90s Better ( Original ) 5. Blinders - Melt (Tasty) (Promise Land Remix) 6. Echosmith - Over My Head (Zookeeper Remix) 7. Fedde Le Grand & Raiden - Hit The Club ( Original ) 8. Siks & John Walt - The Sky (Julian Jordan Extended Edit) 9. Nicky Romero - Duality (Extended Mix) 10. Murdr x DAAV - Prediction ( Original ) 11. Mosimann ft David Taylor - Forever ( Faderx Remix ) 12. Nomra - By My Side ( Original ) 13. Mike Williams & Brooks - Jetlag ( Phasershaker Remix ) 14. J - Trick - Thuggin ( Original ) 15. Styline X Wolsh X Back2Black - The Front (Original Mix) 16. The Him - White Lies ( Guy Arthur Remix ) 17. Third Party - Free ( Original ) Ciao. This is the 29th episode on the chess podcast bringing you music from D.O.D , Teamworx , Holl & Rush, Steve Angelo and off course many more! I also add the full EP from "Magnificence" which is a really sick EP!! I hope you like it as well. Thanks for listening :) Feel free to subscribe to my podcast channel and to follow me on ; Soundcloud - http://bit.ly/ChessSC Itunes - http://bit.ly/CHESSPODCAST Contact Chess : chess-music@hotmail.com Tracklist: 1. Danny Wade - Navigator ( Original ) 2. SYSKEY - PROMISE YOU ( Original ) 3. D.O.D - Glow (Extended Mix) 4. Timmo Hendriks & Playheart - Solace ( Original ) 5. Frank Walker - Footprints (Trilane Remix) 6. RudeLies & Jonth - Never Right ( Original ) 7. Childish Gambino - This Is America (Kastra Remix) 8. Nikko NO_GUESTLIST & George Z - Amnesia ( Original ) 9. MADDOW - Feel So High ( Original ) 10. Teamworx & AYOR - Trap Like ( Original ) 11. Holl & Rush - The Light ( Original ) 12. Joey Rumble - Battle Royale ( Original 13. Herobust - Vertebreaker (RageMode Remix) 14. Magnificence - Cobra ( Original ) ( 1st EP Track ) 15. Magnificence & Seth Hills - Fire ( Original ) ( 2nd EP Track ) 16. Magnificence & Steff da Campo - Out Of My Mind ( Original ) ( 3rd EP Track ) 17. Steve Angelo - Breaking Kind ( Original ) Ciao. Hi there! I'm glad you're listening to another new episode on Chess Radio. This time with music from Tom Tyger, Dimitri Vangalis, Raven, Afrojack and many more. I have kept my last 15 minutes for something special. " Avicii ". I find it very sad to see somone like him go so early. Thanks for the awesome music Avicii! Respect! 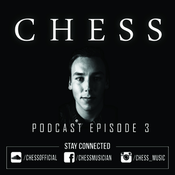 Feel free to subscribe to my podcast channel and to follow me on ; Soundcloud - http://bit.ly/ChessSC Itunes - http://bit.ly/CHESSPODCAST Contact Chess : chess-music@hotmail.com Tracklist: 1. NEW_ID & SOVTH - Step Inside (Extended Mix) 2. Syskey - Nerven ( Original ) 3. Going Deeper - Welcome (Extended Mix) 4. Many More - Pandora ( Original ) 5. Maxim Schunk x Raven & Kreyn feat BISHØP - My Name (Mahalo Remix) 6. Aslove - So High (feat. Norma Jean Martine) (RetroVision Remix ) 7. Dimitri Vangelis & Wyman x Brian Cross & Abel The - Vamos (Extended Mix) 8. Luciana & Nytrix - Trouble (BROHUG Remix) 9. Tom Tyger & FaderX - Rave Me (Extended Mix) 10. Dropgun & Asketa feat. Jessame - My Way (Extended Mix) 11. Dua Lipa - Last Dance (Kriss Reeve Remix) 12. DJ Afrojack & D.O.D & TIM - BER - Started (Extended Mix) 13. Antoine Delvig & SOVTH - Gravity ( Original ) 14. Merk & Kremont - Turn It Around (Extended Mix) 15. Avicii - Silhouettes (Original Mix) 16. Avicii - The Nights ( Extended Mix ) 17. The Him - White Lies ( Guy Arthur Remix ) Ciao. Hey guys welcome back to this brand new episode "27". In this episode i want to give a big shout out to Nino Lucarelli! I met him at the dancefair this year. It's a great guy with a lot of talent and i think you will hear more of him in the future. 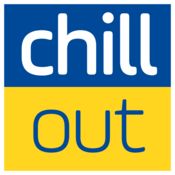 Also in this episode a lot of other great tracks from Maximals ,Bingo Players ,Dubvision and many more! Feel free to subscribe to my podcast channel and to follow me on ; Soundcloud - http://bit.ly/ChessSC Itunes - http://bit.ly/CHESSPODCAST Contact Chess : chess-music@hotmail.com Tracklist: 1. Corey James - Find You (ft. Nino Lucarelli) (Extended Mix) 2. FaderX - No Rush ( Original ) 3. Andy Bianchini & Mick Mazoo - Next To Me ( Extended Mix ) 4. Notalike - Do You Wanna (Micha Moor Edit) 5. Maximals - Dont Know Where ( Extended Mix ) 6. Sagan - Need You Too ( Extended Mix ) 7. Loreno Mayer & Tim Delight - Across The Sky ( Original ) 8. Bingo Players - Get Physical (Extended Mix) 9. Kage - Mind ( Original ) 10. Matt Nash & Bout - You (Extended mix) 11. Raven & Kreyn - Honey (Original Mix) 12. Abel Ramos - Revolution Drums (Thomas Newson Edit) 13. Bhaskar - Lose Control (Club Mix) 14. Dubvision & Raiden - Keep My Light On (Extended Mix) 15. WildVibes & Martin Miller - Far From You ft. Arild Aas ( Original ) 16. Corey James x Crusy x Jose De Mara - 12 OClock ( Original ) 17. The Him - White Lies ( Guy Arthur Remix ) Ciao. Yoo what's up! It's time again for a new episode on Chess Podcast. This time with music from Axwell&Ingrosso, Sam Feldt, Twoloud, Holl&Rush and many more. Feel free to subscribe to my podcast channel and to follow me on ; Soundcloud - http://bit.ly/ChessSC Itunes - http://bit.ly/CHESSPODCAST Contact Chess : chess-music@hotmail.com Tracklist: 1. Axwell & Ingrosso - Dreamer (ALPHA 9 Remix) 2. Davij - Lift Me Up ( Original ) 3. Tobirush & Corg - Funky Skool (Extended Mix) 4. Sam Feldt - Sensational (Zonderling Remix) 5. Craig David - I Know You (Sultan + Shepard Remix) 6. Samuel Robinson - You ( Original ) 7. Habstrakt & Dombresky - Antigone ( Original ) 8. Twoloud & Kyanu - Six Beats (TWISTERZ Remix) 9. Holl & Rush - Believe It (feat. Mike James) (Extended Mix) 10. Maxim Schunk x Raven & Kreyn feat. BISHØP - Say My Name (Extended Mix) 11. Sagan - We Are Lost (Extended Mix) 12. Skrillex & Poo Bear - Would You Ever (ARTY Remix) 13. Yves V x Florian Picasso - Here With You (Extended) 14. Scorsi - Crossover ( Original ) 15. VANDLS x Agresia - Like This ( Original ) 16. Julian Jordan - Ghost ( Original ) 17. Bassjackers & Bali Bandits - Are You Randy (Extended Mix) Ciao.